Natasha was a service provider who built an online business by working for her clients. She helped her clients build amazing businesses. She was well-liked and respected in her industry. She earned top dollar and was often asked to share her systems. After a few years, Natasha found herself dreading work. All of her client’s projects were boring and she wasn’t able to get in her groove. She still served her clients but her love for what she did was gone. To help herself get back on track, Natasha reached out to her business coach. Her coach had Natasha track her work for a week and create a pie chart that showed how she divided up most of her time. When Natasha saw the results, she was stunned to realize she wasn’t spending time on her own projects. Like many service providers, Natasha had let urgent client work slowly take over her business. She felt like she didn’t have time to do activities that she found creatively rewarding. She kept telling herself she would get back to her own projects after “the busy season” was over or after a certain project was completed. But that never happened. Maybe you’ve found yourself where Natasha was. You’ve been pouring out all of your time and energy and giving to your clients. This leaves you feeling drained and maybe even a little bit resentful sometimes. If you were asked to name your #1 client today, who would you pick? You’d probably choose the one that pays you the most. But what if you were #1? What if you put your projects first and tackled your clients’ work after your own? When Natasha experimented with putting her projects first for a month, she quickly noticed an increase in her productivity. Now, she woke up each morning eager to get started and she found it was easier to complete work for her clients. If your to-do list is filled only with client projects, you miss out on the satisfaction and joy that comes from growing your own business. Commit to working on your projects each day, even if it’s only for fifteen minutes. You’ve worked hard as a service provider and you have a great reputation. You also have a full stable of clients. Now, it’s easy to spend time growing other businesses while you neglect your own. Take some time to examine your business this week. Is your website looking shabby? When was the last time your about page was updated? Are your packages updated and relevant? Are your available work hours published? Do you have recent examples of your work? Do you have testimonials and positive remarks on your website? If you have a podcast or blog, when was the last time you updated? Make a list of anything that needs to be fixed or updated. Each week, challenge yourself to put one of these tasks on your to-do list (at the top, of course!). When your website is up to date and you have a variety of projects on your plate, you’ll feel more confident. You’ll be more likely to try out that new social media trend or book a ticket to that conference you’ve always wanted to attend. With more confidence, you’ll get choosier about the projects you work on. 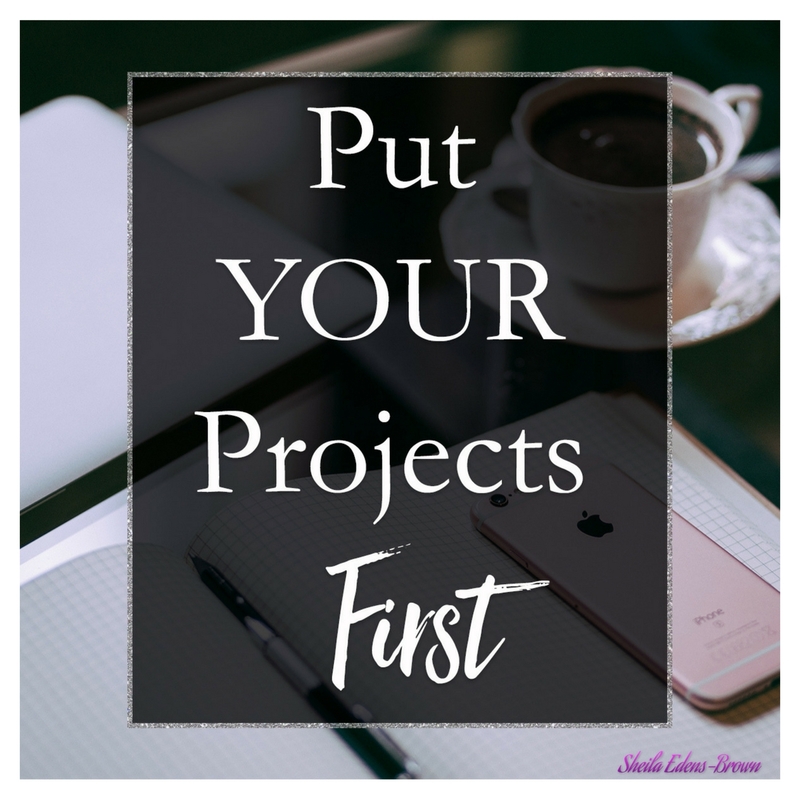 Before, you might have taken any client that came your way but now, you’ll have the courage to only choose projects that light you up and allow you to do your best work. Making yourself your #1 client will be make your business healthier. It’ll also make you happier to focus on your projects, too. Will you become your #1 client? What will you do today to become that #1 client?